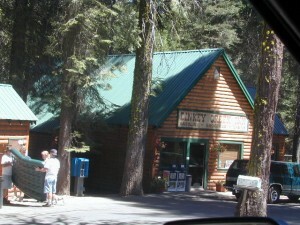 Located in the high elevations between Shaver Lake and Courtright Reservoir is the Dinkey Lakes region. Granite domes and alpine lakes are the key feature of this mid-Sierra forest. John Muir Wilderness is located on the east (right) side of Courtright, while Dinkey Lakes Wilderness is on the opposite west (left) side. 4 wheel drive trails serve some of the Wilderness boundaries. Dusy Ershim OHV Trail (pronounced ‘doosey’) crosses the boulder strewn terrain for 30 rugged miles, from Courtright to Kaiser Pass. Road #8S10 is known as ‘Red Lake Road’ and pretty popular among 4x4s and fishermen. This high clearance 4×4 trail accesses both scenic lakes – Red Lake and Coyote Lake, as well as Dinkey Wilderness trailheads. Access the trailheads on the north side of Dinkey Creek Road, a paved route which connects Shaver Lake to the Sequoia McKinley Grove and then on to Wishon and Courtright. Rock Creek Road #9S10 becomes dirt and leads up to the Dinkey Lakes hiking trails. Paved Dinkey Creek Road leads out to the Trails End trailhead. 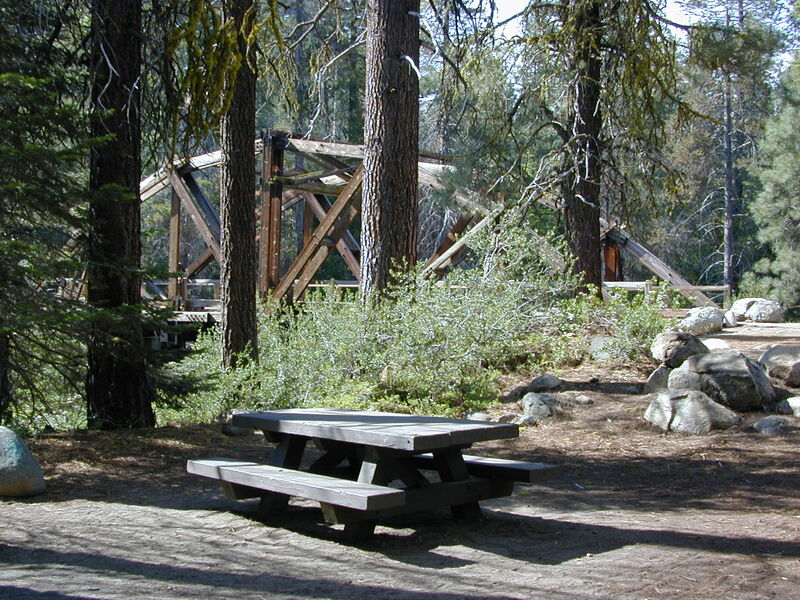 Dinkey Creek and main Campground is located at 5840′ elevation and tucked deep in the forest, about 10 miles east of Shaver Lake. 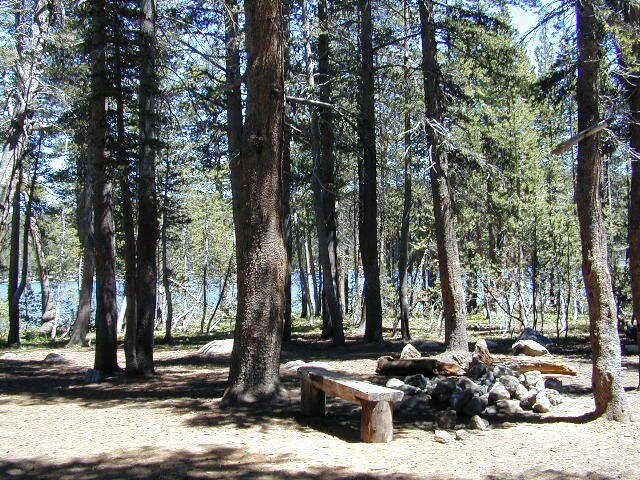 Beyond the Sequoia grove is Wishon & Courtright Reservoirs w/ Cliff Lake trailhead. 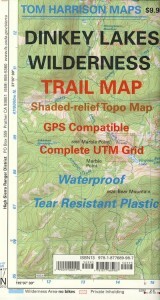 All the other trailheads located at these large lakes lead over to John Muir Wilderness. 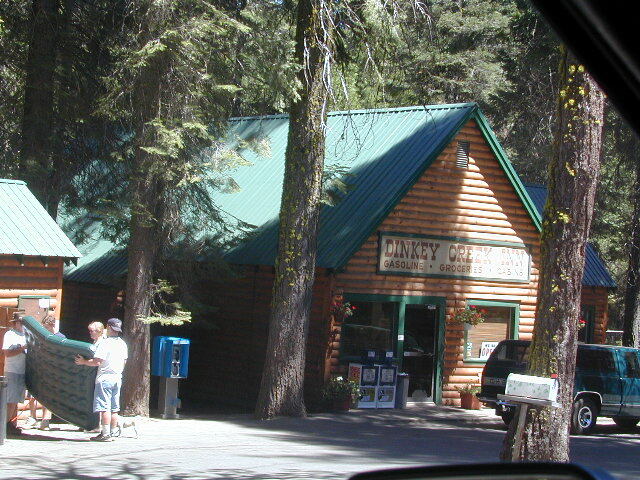 The Dinky Creek locale (on most maps) is located at the main Dinky Creek Campground, along Dinky Creek near the historic Dinky bridge on a small, paved, side route north of the main road. Although this summer vacation area is well signed, people can often miss this turn, especially at night. Two main hiking trail systems can be accessed from the west, via Tamarack Ridge (parking at Hwy 168). Both dirt routes from highway, Road #9S09 and Road #8S10 lead out to Dinkey trails, although one is rugged 4×4 trail, Red Mountain OHV, and the other is a long, graded dirt road. Kaiser Pass Road to the north side has even more trails leading into Dinkey. 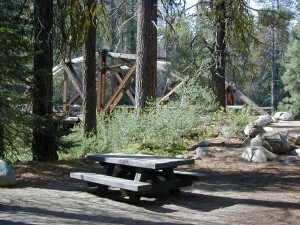 Badger Flat and White Bark trailheads are closest points to Huntington Lake, CA. Bolsillo trailhead is way back near Florence Lake, which also has a major trailhead and paved parking.